Discussion Graph Tool (DGT) is an easy-to-use analysis tool that provides a domain-speciﬁc language extracting co-occurrence relationships from social media and automates the tasks of tracking the context of relationships and other best practices. DGT provides a single-machine implementation, and also generates map-reduce-like programs for distributed, scalable analyses. DGT simplifies social media analysis by making it easy to extract high-level features and co-occurrence relationships from raw data. With just 3-4 simple lines of script, you can load your social media data, extract complex features, and generate a graph among arbitrary features. Throughout, DGT automates best-practices, such as tracking the context of relationships. Out-of-the-box feature extraction for common scenarios, including mood and geo-location; as well as customizable dictionary and regular expression-based extractions. Analyze text for signs of joviality, fatigue, sadness, guilt, hostility, fear, and serenity. Map lat-lon coordinates to FIPS county codes. Recognize gender based on name. Identifies co-occurrence relationships within social media messages, user behaviors, locations or other features. Extract planar graphs and hyper-graphs of co-occurrence relationships, and tracks contextual statistics for each relationship. Import raw social media data from existing sources. Reads delimeter-separated TSV and CSV files, line-based JSON format (including output of common Twitter downloaders) and multi-line record formats. Outputs JSON, TSV and GEXF. Incorporate your own feature extractors with DGT through a simple API. This makes it easy for others to build on your techniques and mix-and-match with others. Aug 13: Some people were seeing errors trying to run the binaries because of an invalid signature on the binaries. We’ve fixed that now. Thanks for the bug reports! Aug 8: We’ve updated the DGT release, adding support for weighting data and projection on weighted values. We’ve also updated and expanded our location mapping capabilities to map lat-lon coordinates and user-specified locations to countries, US states and US counties. June 19: Our first release is available! Get in touch with your questions. We’re looking for feedback. 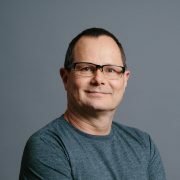 Tweet @emrek or email the team at discussiongraph@microsoft.com. Thanks! June 16: In preparation for our tool release, we’ve added 2 new step-by-step walkthroughs on analyzing the moods of product reviews and extracting graphs of hashtag relationships on Twitter. Our step-by-step walkthroughs, and our reference guide give details about the tool and its usage. 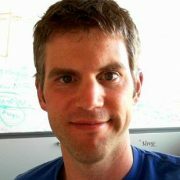 Have a question about how to use DGT for an analysis? Have a feedback or bug report? Want to use your own feature extractor within DGT? Contact @emrek via Twitter or reach all of us via email at discussiongraph@microsoft.com. Qualitative sampling of raw data that supports each extracted relationship. FILTER command for conditioning analyses on demographic or other feature values. A feature extractor in DGT is responsible for analyzing the raw data of a social media message and recognizing, extracting, inferring or detecting higher level information. The raw data of a social media message may include the text as well available metadata about the message, the message author, and other geo-temporal or social context. DGT includes several out-of-the-box feature extractors for common scenarios. These include some complex analysis tasks, such as mood inference and geo-location mapping, as well as support for simpler analyses, such as customizable dictionary and regular expression-based feature extractors. The reference guide lists the feature extractors included in DGT, and examples of using the customizable feature extractors. This short step-by-step walks you through installing DGT and adding it to your execution path. To install the Discussion Graph Tool, Download the latest DGT release as a zip file. 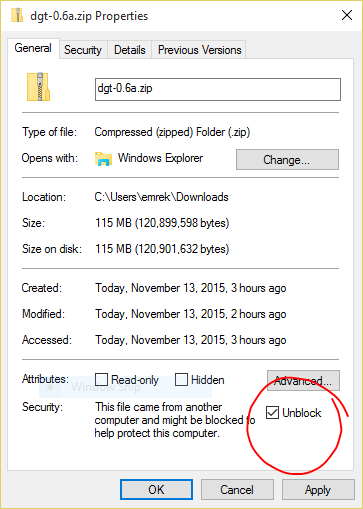 Check that the downloaded DGT zip file is “unblocked” on your computer. Right-click on the downloaded zip file, and click “properties…” and ensure that the “Unblock” check box is checked and click Apply, or press the “Unblock” button in older versions of Windows. Edit the system environment variables to add the dgt-0.5bin directory to the execution path. To do so, open the Control Panel, search for Environment Variables and click “Edit the System Environment Variables”. Select the PATH variable from the system variables list and click the Edit button. Edit the variable value (the current search paths), and append a ‘;’ (semicolon character without the quotes) and the full path to the DGT binaries. (don’t forget to include the trailing dgtbin directory, e.g., c:usersmyNamedgtbin, c:program filesdgtbin or e:dgtbin). Type the command “dgt”. You should see the following output. To learn more about the Discussion Graph Tool, read the getting started guide and the step-by-step walkthroughs. This walkthrough focuses on answering the question: How does mood (joviality, anger, guilt, …) correlate with product review score? Does this vary by gender? As a bonus, see how to extract a graph of products based on their common reviewers. Read the step-by-step. In this walkthrough, we will be working with Amazon review data for fine food products. First, we are going to ask the question, “what are the moods associated with positive and negative reviews?” Then, we will go a little deeper into the data and see how the mood distributions differ based on the gender of the reviewer, and also suggest other explorations. Through this example, we will introduce the basic concepts and commands of a DGT script. We’ll show how to load data, extract fields and derived features from social media; and project and aggregate the results. If you haven’t already, download and install the discussion graph tool. The rest of this walkthrough will assume that you have installed the tool and added it to your executable path. There are 4 basic commands we will use in our script: LOAD for loading data; EXTRACT for extracting features from the raw data; PROJECT for projecting specific relationships and context from the raw data; and OUTPUT for saving the result to a file. Let’s take things step-by-step. Step 4. Create a new file mood-reviews.dgt Use notepad.exe, emacs, vi or your favorite text editor. Step 5. LOAD the data. Since the multi-line format naturally embeds the schema within the data file, we don’t have to specify it in the LOAD command. There are some spurious newlines in the finefoods.txt.gz data, so we do we need to set the ignoreErrors flag to true. This will tell DGT to ignore data that is misformatted. The AffectDetector() call infers the affect, or mood, of a text. The field argument tells it which of the raw fields to analyze. We’ll choose the long review field but could just as easily have selected the summary field. If you don’t pass a field argument, then the AffectDetector() extractor will by default look for a field named “text” in the raw data. The Gender() call infers the gender of the author, based on the author’s first name. The field argument tells it which field includes the author’s name. If you don’t pass a field argument, then the Gender() extractor will by default look for a field named “username” in the raw data. By naming the reviewscore field—without parentheses—we tell the script to pass the reviewscore field through without modification. By projecting to “review_score”, we are telling DGT to build a co-occurrence graph among review scores. By default DGT assumes the co-occurrence relationships are defined by the co-occurrence of values within the same record. Since in this dataset every record has at most one review score, that means that there are no co-occurrence relationships. The resulting graph is then simply the degenerate graph of 5 nodes (1 for each score from 1 to 5). 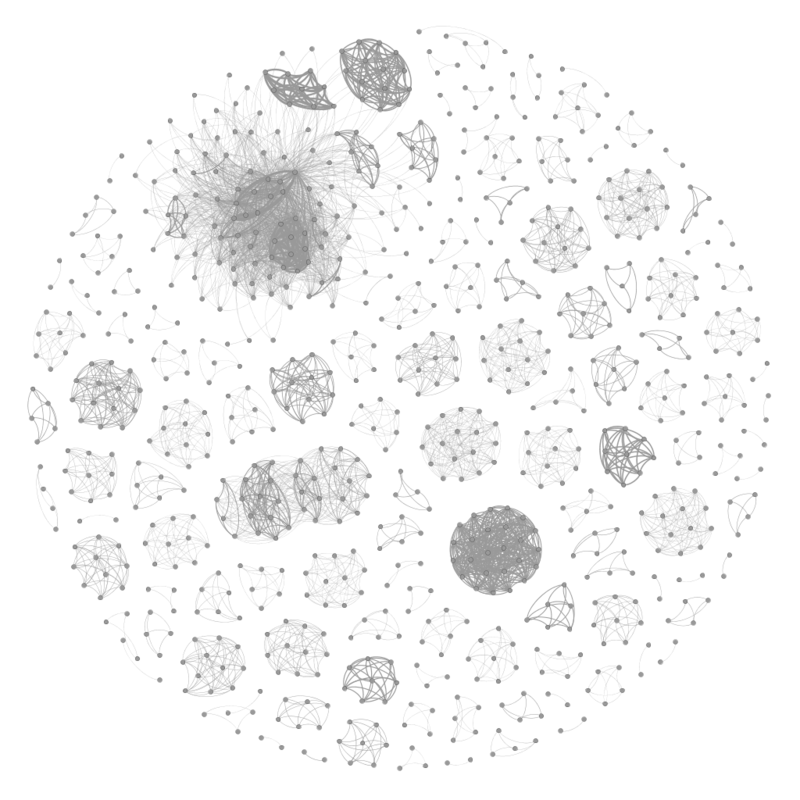 For each of these nodes, DGT aggregates the affect and gender information that we extracted. The output file “finefoods_reviewscore_context.graph” should now be in the e:dgt-sample directory. Each row of the output file represents a reviewscore, since that is what we projected to in our script. Columns are tab-separated and the first column of each row is the name of the edge (or nodes) in the graph; The second column is the count of records seen with the given review score; and the third column is a JSON formatted bag of data distributions for gender and affect observations. Here’s a quick graph of the results about how mood varies across review scores. We see that joviality increases and sadness decreases with higher review scores. We see that there is more hostility in lower review scores and more serenity in higher review scores. While most moods are monotonically increasing or decreasing with review score, we see that guilt peaks in 2- and 3-star reviews. The design goal of DGT is to make it easy to explore the relationships embedded in social media data and capture the context of the discussions from which the relationships were inferred. The dgt2gexf command mirrors the dgt2tsv command. In this case, we decided to use a filterbycount option to only output edges that have at least 1000 users who have co-reviewed the pair of products. This filter helps keep the visualization relatively manageable. This walkthrough focuses on twitter data and extracting a graph of related hashtags based on co-occurrences. Read the step-by-step. In this walkthrough, we will be working with public stream data from Twitter. 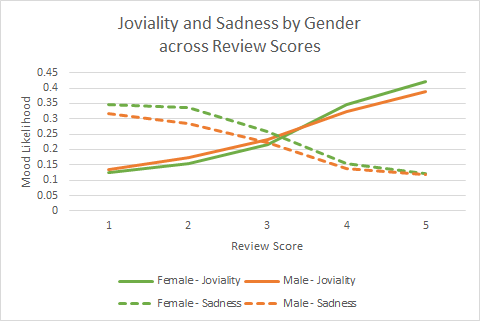 First, we are going to ask the question, “what are the moods associated with positive and negative reviews?” Then, we will go a little deeper into the data and see how the mood distributions differ based on the gender of the reviewer, and also suggest other explorations. If you haven’t already, download and install the discussion graph tool (Detailed installation instructions.) The rest of this walkthrough will assume that you have installed the tool and added it to your executable path. First, let’s get some data to analyze. We’ll be using Twitter data for this walkthrough. Twitter doesn’t allow redistribution of its data, but does have an API for retrieving a sample stream of tweets. There are a number of steps you’ll have to complete, including registering for API keys and access tokens from Twitter. We’ve put up full instructions. Step 3. Install twitter-tools package. See our instructions. As we saw in walkthrough #1, there are 4 basic commands we will use in our script: LOAD for loading data; EXTRACT for extracting features from the raw data; PROJECT for projecting specific relationships and context from the raw data; and OUTPUT for saving the result to a file. Let’s take things step-by-step. Step 5. Create a new file twitter-hashtags.dgt Use notepad.exe, emacs, vi or your favorite text editor. Step 6. LOAD the data. The Twitter data source already knows about ***the key fields in the Twitter JSON data file*** (ADD LINK), so we don’t have to specify any more information. The twitter-tools adds some non-JSON lines into its output, so we’ll also set the ignoreErrors flag to true. This will tell DGT to ignore misformatted lines in the input. The AffectDetector() call infers the affect, or mood, of a text. By default, the AffectDetector() looks for a field named “text” in the raw data, though we could set the “field” argument to make it look at other fields instead. The Gender() call infers the gender of the author, based on the author’s first name. By default, the Gender() extractor looks for a field named “username” in the raw data. Again, we could override this using the “field” argument. By naming the hashtag field—without parentheses—we tell the script to pass the hashtag field through without modification. Note: The output of twitter-tools already includes hashtags, user mentions, urls and stock symbols as explicit fields already parsed out of the raw text. We’ll see in the further explorations how we can use exact phrase matching and regular expression matching to pull values out of the text ourselves. Now, we tell the script what we relationships we care about. Here, we want to extract the pair-wise co-occurrence relationships among hashtags. That is, which hashtags are used together? By projecting to “hashtag”, we are telling DGT to build a co-occurrence graph among review scores. By default DGT assumes the co-occurrence relationships are defined by the co-occurrence of values within the same record. In this exercise, we’re choosing to use a PLANAR PROJECT command because we’re going to visually display the resulting hashtag graph at the end of this walkthrough, and planar graphs are simply easier to render. However, it’s worth noting that the planar representation is incomplete. For example, if 3 hashtags always co-occur together that information will be lost because the planar graph cannot represent this information. A hyper-graph can represent such complex co-occurrences, however. For this reason, the PROJECT command defaults to a hyper-graph, and we recommend using this representation if you are going to be computing on the result. The output file “twitter_hashtags.graph” should now be in the e:dgt-sample directory. Each row of the output file represents a relationship between a pair of hashatags, since we projected to the planar relationship between co-occurring hashtags in our script. Columns are tab-separated and the first column of each row is the name of the edge in the graph (the edge name is simply the concatenation of the two node names, in this case the two hashtags); The second column is the count of tweets seen with the pair of hashtags; and the third column is a JSON formatted bag of data distributions for gender and affect observations. To import this data into visualization and analysis tools, we have included two command-line utilities dgt2tsv.exe and dgt2gexf.exe that can extract specific values into a tab-separated values (TSV) file or a Graph Exchange XML Format (GEXF) file. If your twitter sample is large, you might consider adding the option “filtercount=N” (without the quotes) to the command-line. This will only include edges that were seen at least N times in your sample. Use an appropriate number, from 10 to 1000 or higher, depending on the size of your sample. For clarity and fun, we’ll filter out low-frequency edges and zoom into one of the clusters of hashtags about world-cup related topics. 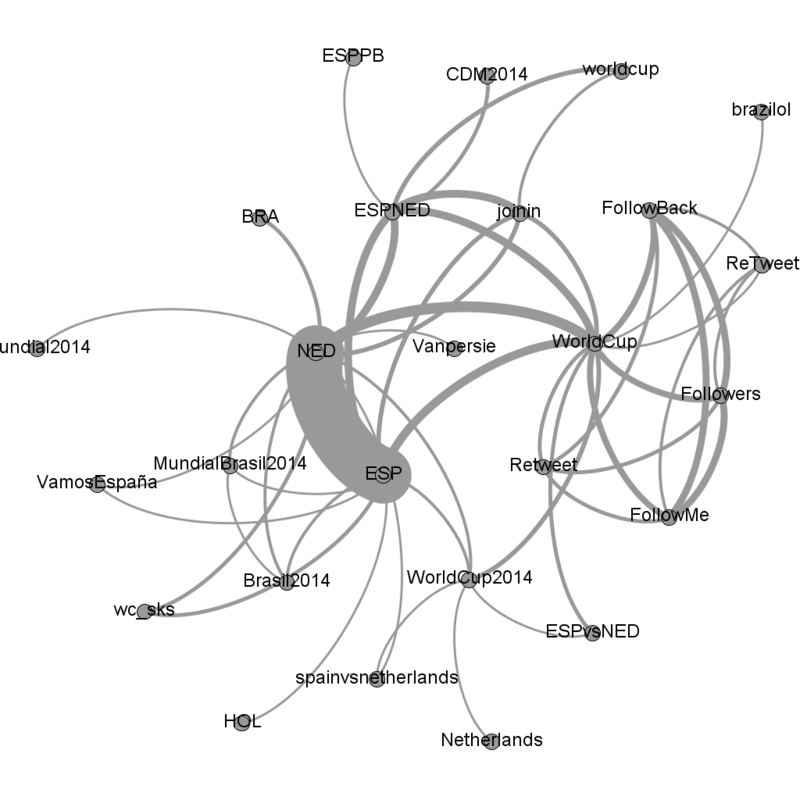 We see from the thickness of the edges that #NED and #ESP are the most frequently co-occurring hashtags, and each also co-occurs relatively frequently with #WorldCup. We also see a number of people piggy-backing on the popular #worldcup hashtag with topically unrelated hashtags (#followers, #followback, #retweet, #followme) to solicit followers and retweets. There are many interesting things to explore in hashtag relationships, such as the evolution of hashtag relationships over time — for example, use PROJECT TO hashtag,absoluteday; — hashtag relationships conditioned on gender — PROJECT TO hashtag,Gender(); — and inspections of token distributions, moods and other features associated with hashtags and their relationships. What are you going to explore next? Let us know what you do! 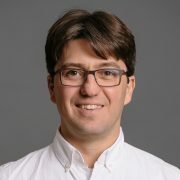 My twitter handle is @emrek, or you can reach the whole team by emailing us at discussiongraph@microsoft.com. Thanks! Declaring the feature that defines a co-occurrence. What defines the fact that two or more features have co-occurred? By default, two features are considered to co-occur if they both occur in the same social media message. Steps 2 and 3 implicitly define an initial discussion graph. 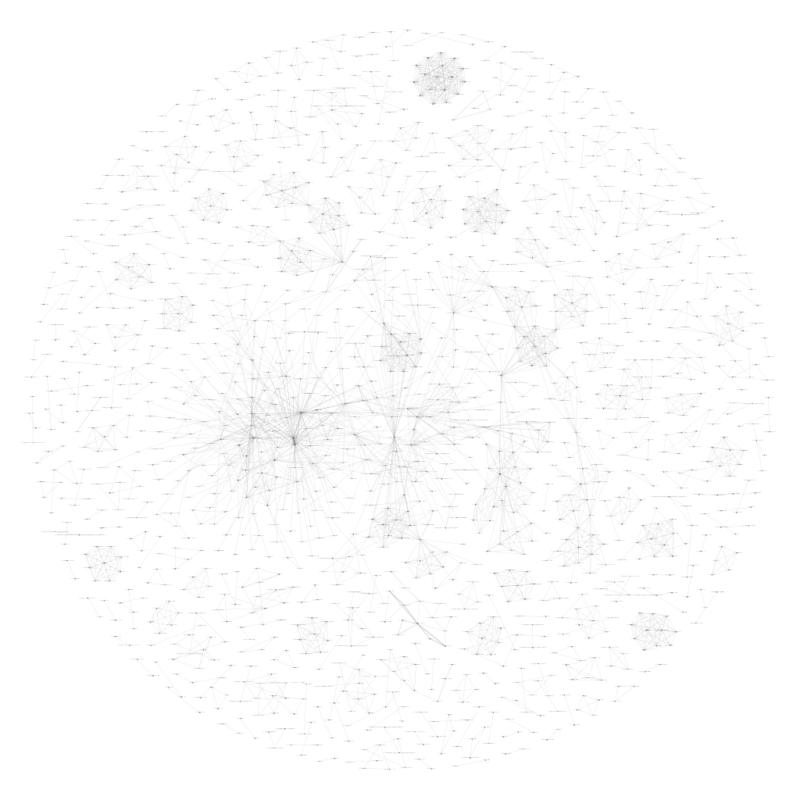 All co-occurring feature values that were seen to co-occur in the raw social media data will be connected by hyper-edges to form a large, multi-dimensional hyper-graph. Often, we’ll want to further analyze our results with higher-level machine learning, network analyses, and visualization techniques. This is outside the scope of DGT. For more details on the core concepts behind discussion graphs, we recommend reading our ICWSM 2014 paper. Often, feature values are weighted. For example, the affect classifier produces a weighted feature value indicating how likely a message is to be expressing joviality, sadness, etc. (In other cases, the use of the WEIGHT BY command implicitly creates a weighted value). The two weighted features are interpreted as independent probabilities. That is, there is an 80% likelihood of this message being jovial and a 20% likelihood of not being jovial. Independently, there is a 40% likelihood of the message being serene, and 60% chance of not being serene. Of course, when analyzing a larger corpus of social messages, each message will be expanded individually and the results aggregated. The discussion graph tool’s scripting language currently supports the following commands. Note that square brackets [ ] indicate optional elements of the command. Italicizedterms indicate user-specified arguments, variable names, etc. of the command. The LOAD command loads social media data from some datasource. The required arguments are datasource-specific. Generally, datasources require a path to the input file as well as schema information to interpret the file. See the Common things you’ll want to do section below for examples of loading TSV, Multiline record, JSON and Twitter files. The EXTRACT command runs a series of feature extractors against the raw social media messages loaded from a data source via the LOAD command. Extracting a field will pass through a field from the raw data unmodified. Extracting a feature using a FeatureExtractor() will run the specified feature extractor against the social media message. Feature extractors may generate 0, 1 or more feature values for each message they process, and the domain of the feature need not match the name of the feature extractor. For example, the AffectDetector() generates features in several domains (Subjective, Mood and PosNegAffect), and other feature extractors, such as Phrases() can generate features in custom domains. The PRIMARY flag acts as a kind of filter on the raw social media data. EXTRACT must find at least one PRIMARY field or feature in a message, otherwise the message will be ignored. If no fields or features are marked as PRIMARY, then EXTRACT will not filter messages. FROM varname tells the EXTRACT command where to get its input data. If not specified, EXTRACT will read from the output of the previous command. The WEIGHT BY command reweights the data from social media messages. By default, every social media message counts as a single observation. If we see a co-occurrence relationship occurring in 2 social media messages, then the co-occurrence relationship will have a weight of 2. We can change this using the WEIGHT BY command so that every unique user (or location or other feature value) counts as a single observation. So, for example, if a co-occurrence relationship is expressed by 2 unique users, then it will have a weight of 2. Conversely, if a single user expresses 2 distinct co-occurrence relationships, each relationship will have a weight of only 0.5. Note that we can WEIGHT BY one feature but RELATE BY another feature. The RELATE BY command declares the domain that defines a co-occurrence relationship. All features that co-occur with the same feature value in this domain are considered to have co-occurred. FROM varname tells the RELATE BY command where to get its input data. If not specified, RELATE BY will read from the output of the previous command. Often, especially for ease of visualization, it is useful to restrict the discussion graph to be a planar graph (where every edge in the graph connects exactly 2 nodes). The PLANAR PROJECT TO command achieves this. All hyper-edges will be decomposed and re-aggregated into their corresponding 2-edges. Furthermore, it can be useful to restrict the graph to be bipartite, where only edges that cross domains are kept. For example, we may only care about the relationship between users and the hashtags they use, and not care about the relationship among hashtags themselves. The PLANAR BIPARTITE PROJECT TO command achieves this. Semantically, this is the equivalent of doing a planar projection and then dropping all edges that connect nodes are in the same domain. The MERGE command overlays two discussion graphs atop each other. Nodes with the same feature domain and values will be merged. The OUTPUT TO command saves a discussion graph to the specified file. File’s are saved in DGT’s native format. This format consists of 3 tab-separated columns. The first column is the edge identifier: the comma-separated list of nodes connected by this edge. The second column is the count of the number of times this co-occurrence relationship was observed to occur. The third column is a JSON-formatted representation of the context of the relationship or, in other words, the distribution of feature values conditioned on the co-occurrence relationship. Here’s a current list of feature extractors included in the discussion graph tool release. field: input field to analyze (default=’geopoint’). this field should contain both lat and lon coordinates, separated by a space or comma. latfield: input field containing latitude value. lonfield: input field containing longitude value. propertynames: comma separated list of property:domain pairs. The property names a property within the shapefile, and the domain specifies a custom domain name for that property. If a lat-lon point falls within a shape specified in the shapefile, the feature extractor will output all the specified properties in the propertynames list. Note: Please specify either the field argument or both the latfield and lonfield arguments. mappingfile: model for mapping from user location names to geographic locations. DGT comes with a mapping file for major international metropolitan areas, and United States country regions and divisions. DGT can load social media data in delimeter-separated TSV and CSV files, line-based JSON format (including the output of common twitter downloaders) and multi-line record formats. To load a TSV or CSV, use the following LOAD command. The path to a file is required. Also, either the hasHeader flag must be set to true (indicating the first row of the file is a header line) or the schema argument must be set. To load a multiline record, use the following LOAD command. Only the path argument is required. The schema is implicit in the file itself. DGT can read JSON line formatted files (where each line of a text file is a JSON object). The schema must specify both the fields to be extracted as well as their JSON paths. If multiple values in the JSON object match a given path, the field will be assigned multiple values. DGT also includes a pre-defined data source for Twitter output of the twitter-tools utilities. (This is a JSON-line formatted file) To load the output of the twitter-tools utilities, use the following LOAD command. Only the path argument is required. Sometimes a specific social media message is simply irrelevant to a specific analysis. For example, in a study about hashtag usage on Twitter, we might want to ignore messages that do not have hashtags. To do this, we can use the PRIMARY keyword of the EXTRACT command. In this example, we have marked the hashtag and mention fields as PRIMARY fields (any field or feature extractor may be marked as PRIMARY). This PRIMARY flag tells the EXTRACT command that it must find either a hashtag or a mention value in a message in order to continue processing it. If a message has either a hashtag or a mention, EXTRACT will also run the AffectDetector() and pass the values along to the rest of the script. If a message does not have any hashtag value and does not have any mention value, then that message will be ignored. The Gender feature extractor understands the acceptfilter argument, and will only output feature values that match the list. The result in this case is that only messages where the author’s gender is identifiably female will be processed. (note that the hashtag and mention fields are no longer marked as PRIMARY fields). If you have a long list of values you want to accept, you can use the acceptfilterfilename argument. The syntax and behavior for the acceptfilter and acceptfilterfilename is the same as for the Phrases() feature extractor. You can extend the Phrases() feature extractor with a different set of arguments to detect different phrases. Here is an adaptation of our “politician detector” from our simple example, but this time modified to detect super heroes. By default, phrase detection is case-insensitive. If you have a long list of phrases you want to detect, you can put them in a file and reference them in your processor. Note that you also have to specify the datafile as a resource, so that the framework knows to include that file as part of the job. In its simple form, this file is simply a list of phrases to detect. You can also use this file to group or canonicalize detected phrases by adding a 2nd tab-separated column that includes the canonical form. For example, if you used the following file, it would detect the nicknames for parents and map them to their canonical name. That is, whenever the phrase extractor finds “mommy” or “mom” the extracted feature will be emitted as “mother”. Often, you will want to perform further higher-level analyses (machine learning analyses, visualizations and/or statistical analyses) on the output of DGT. To do so, we provide utilities to convert from DGTs native output format to TSV and GEXF files that will let you load the data in R, Excel, Gephi and other tools. The list of outputfields may include “count”, any of the domains output by a feature extractor, a domain name followed by “.count”, or a domain name followed by a specific feature value. For example, the following command will output a count of the number of messages seen for each edge in a discussion graph; the gender of the author; and the weight of the “fatigue” value in the Mood domain.